Scoops began as a delicious idea for us back in 2015. 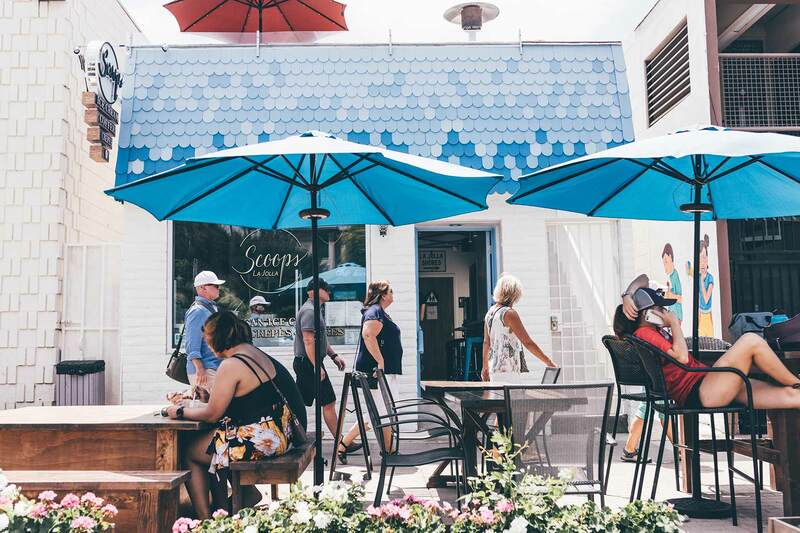 When we joined the La Jolla Shores community back in 2013, we immediately realized what the shores were missing- a place for families to enjoy quality ice cream by the beach together. I convinced my son to leave his busy San Francisco life to move back to San Diego and begin the journey to Scoops. 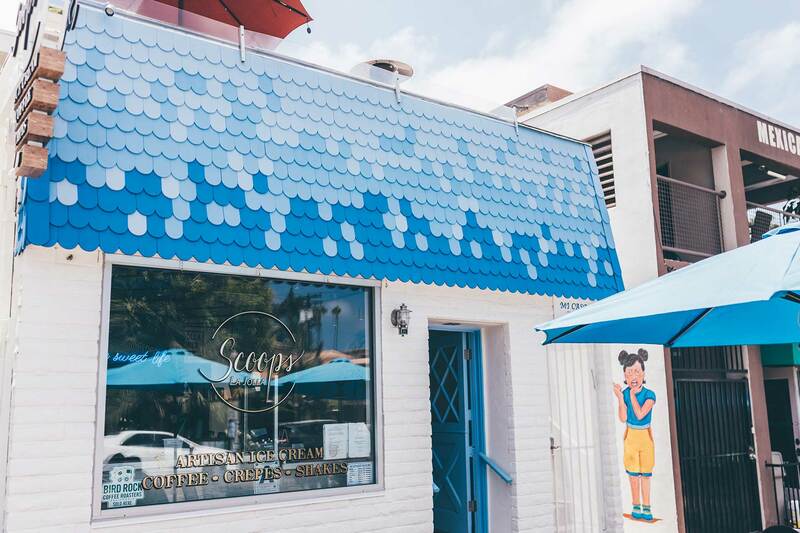 We searched high and low to find the best-handcrafted ice cream to bring to the community of La Jolla because we believe ice cream is a dessert that is meant to be shared with everyone. 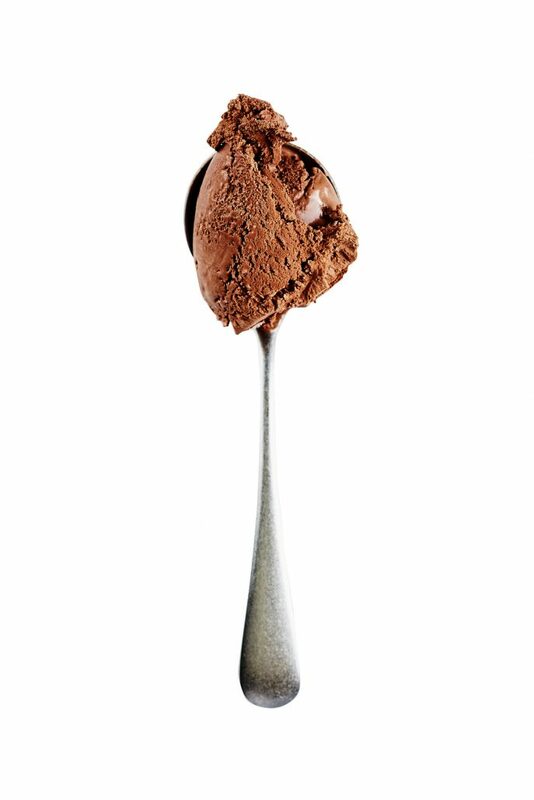 As a family of self-proclaimed ice cream aficionados (we LOVE ice cream) we can’t wait to bring our vision of decadent ice cream to you! At Scoops we understand that Ice Cream is a magical treat. With that we made sure in our endless search of Ice Cream to provide the best and most natural product for our customers. 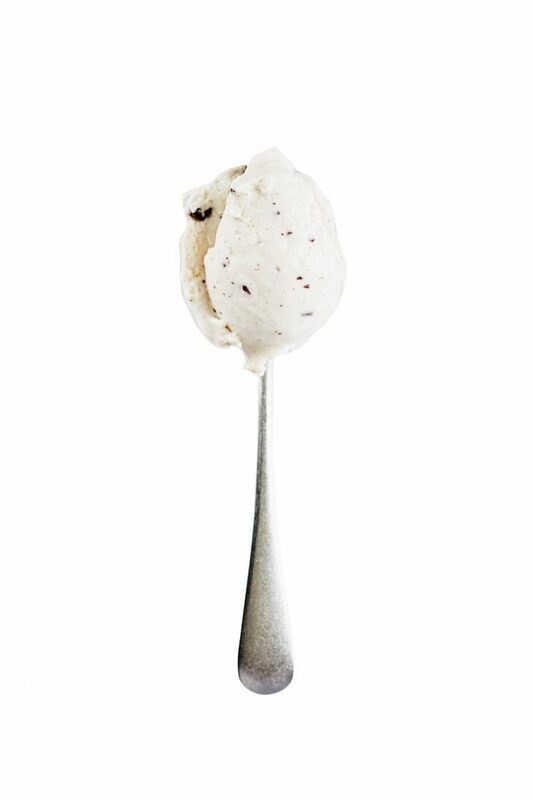 After months of searching we are proud to be serving New York’s own Van Leeuwan Artisan Ice Cream. 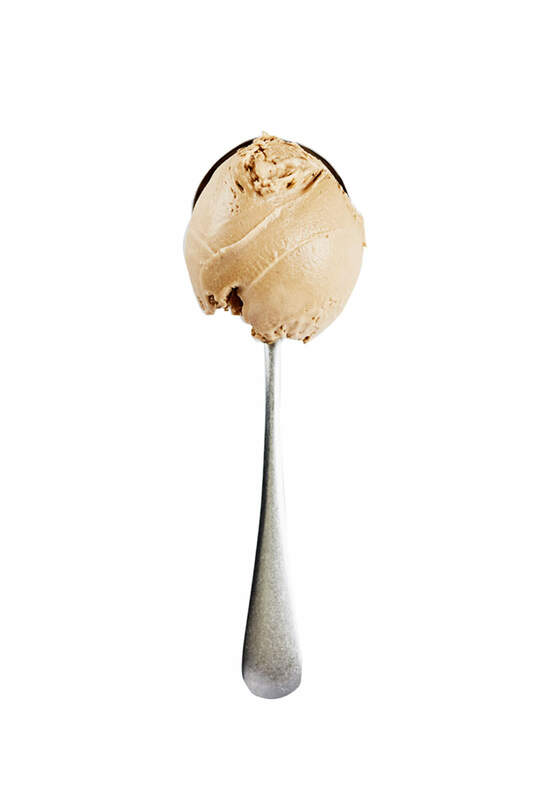 The Classic and Vegan ice creams are made with just a handful of fresh ingredients. Each flavor is a celebration of some of the world’s best artisan producers and farmers both local and from around the world. 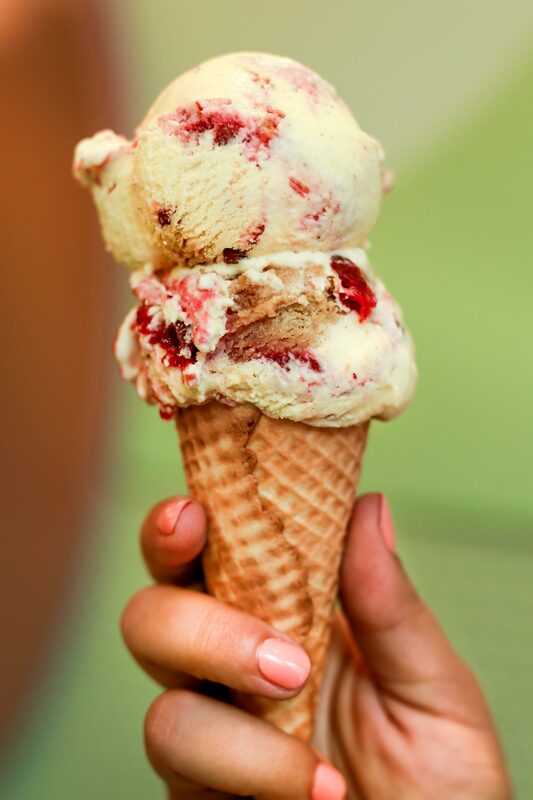 All the ice cream is made from scratch in Greenpoint, Brooklyn. 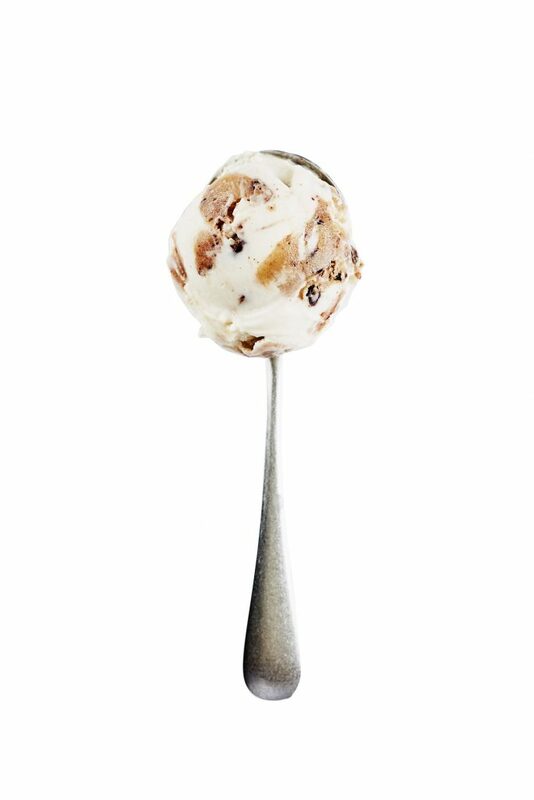 The Classic scoops are crafted with nothing more than fresh milk and cream, cane sugar, and egg yolks. 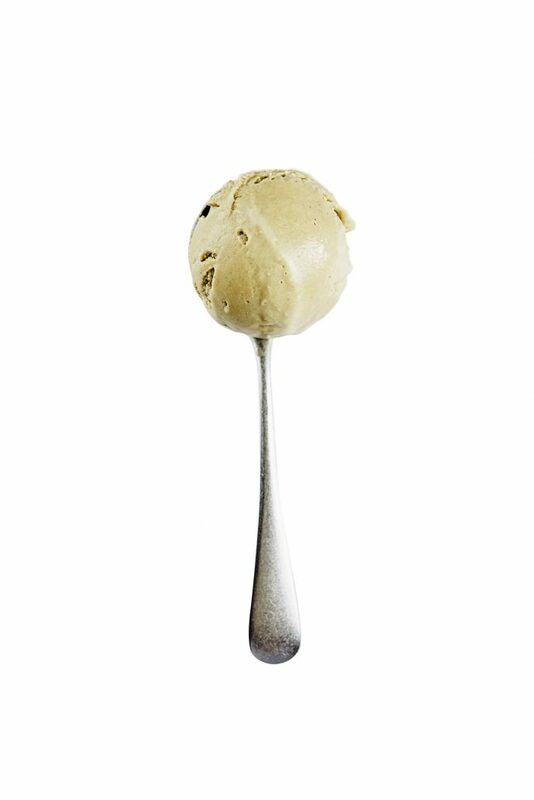 The Vegan scoops are made with cashew milk, organic coconut milk, organic extra virgin coconut oil, organic cane sugar, pure cocoa butter, and organic carob bean. 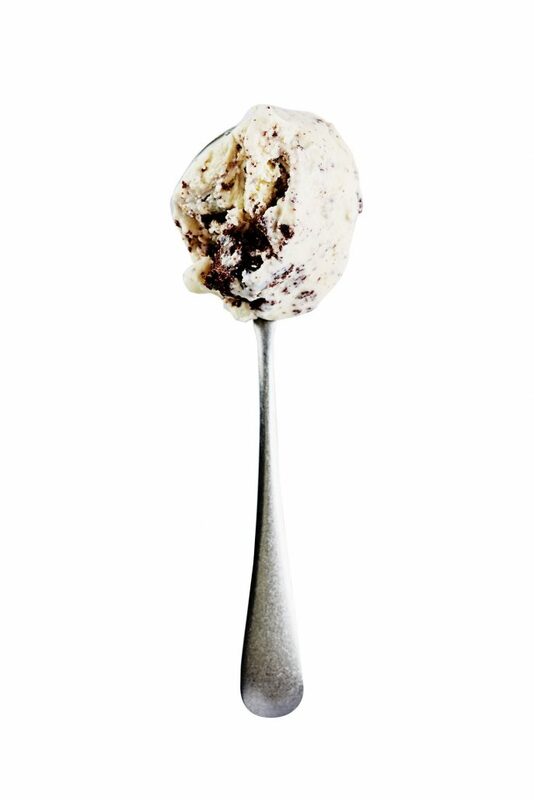 Both recipes result in rich, decadent, naturally perfect ice cream. 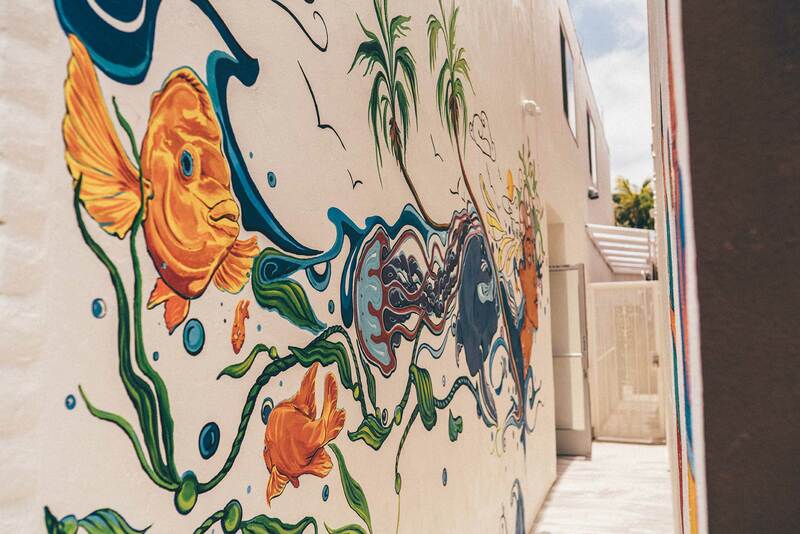 We believe that ice cream is a delicious treasure and the sweet life you deserve! Soft & sweet with a touch of cinnamon, snickerdoodle cookies are a nostalgic homemade afterschool snack. 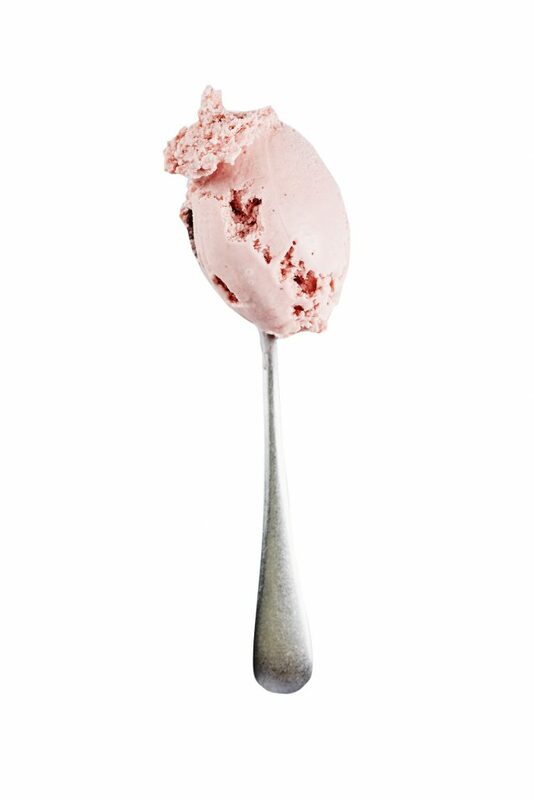 We’ve folded homemade snickerdoodle cookie pieces throughout our classic vanilla bean ice cream then swirled in Swedish lingonberry jam made fresh from this summer’s lingonberry harvest. It’s berry season! 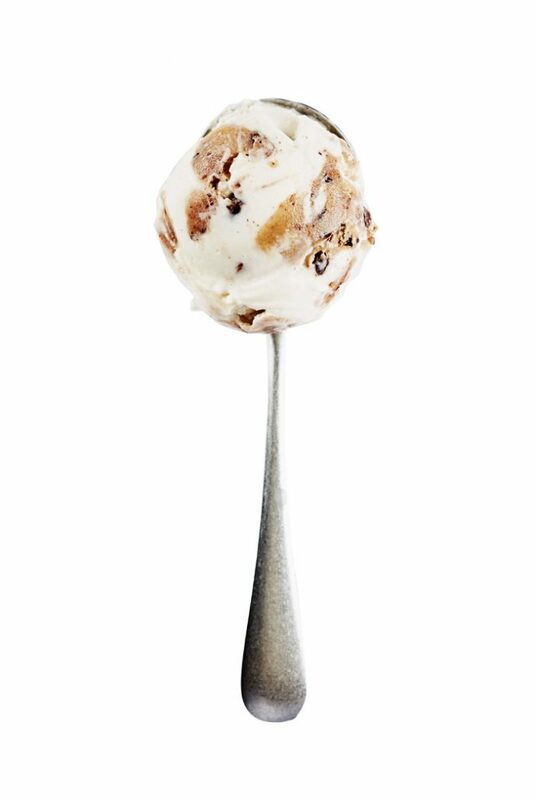 We’re celebrating with a scoop inspired by this classic summer dessert. 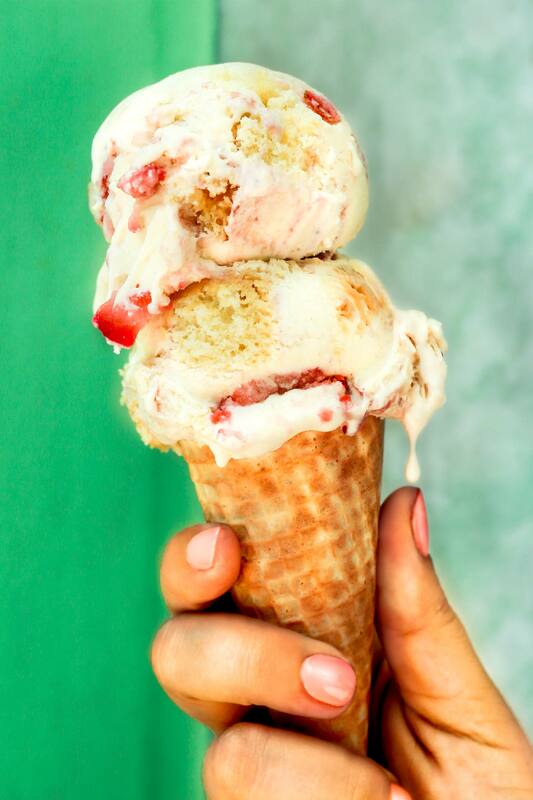 We tossed whole strawberries into our sweet cream ice cream, folded in fluffy housemade vanilla pound cake, and swirled in a special strawberry jam steeped with lemongrass and kaffir lime leaves to make this delicious summer treat. 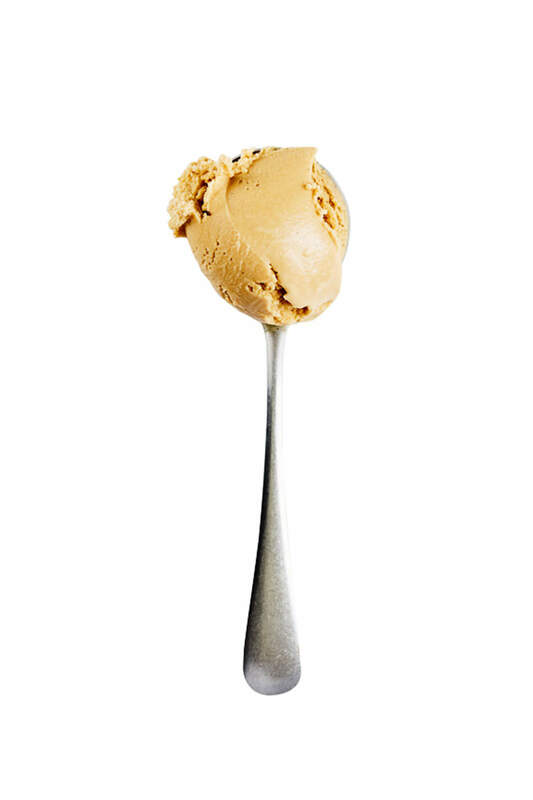 Sicilian almonds are blended into sweet cream ice cream to create a rich and nutty base. The pastry team diced fresh pears and roasted them in butter and spices creating an indulgent brown butter pear swirl gets folded into the almond ice cream along with chunks of our housemade gluten free almond tart crust. Michel Cluizel is a small family-run French company committed to producing the highest quality chocolate. All of the chocolates and cocoa powders are produced without soy lecithin. The raw cacao comes from eight single biodynamic and organic plantations. 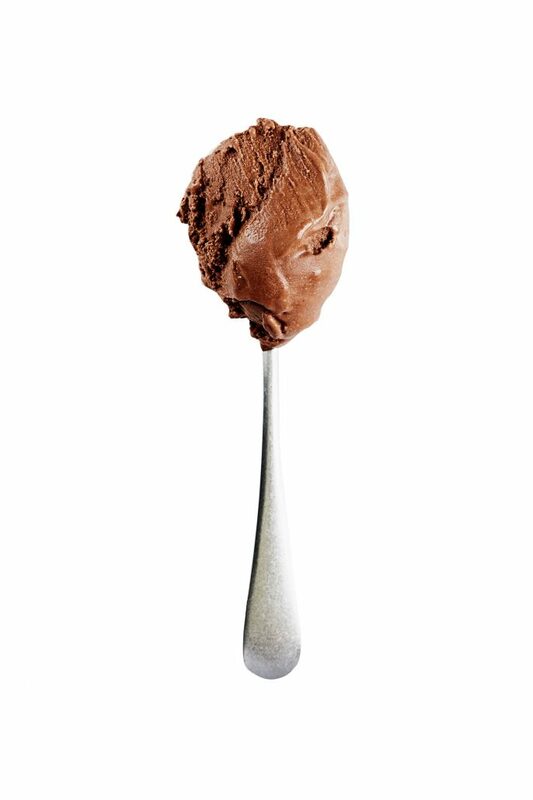 Its Ultra-high cocoa butter content provides a rich and creamy mousse-like texture. 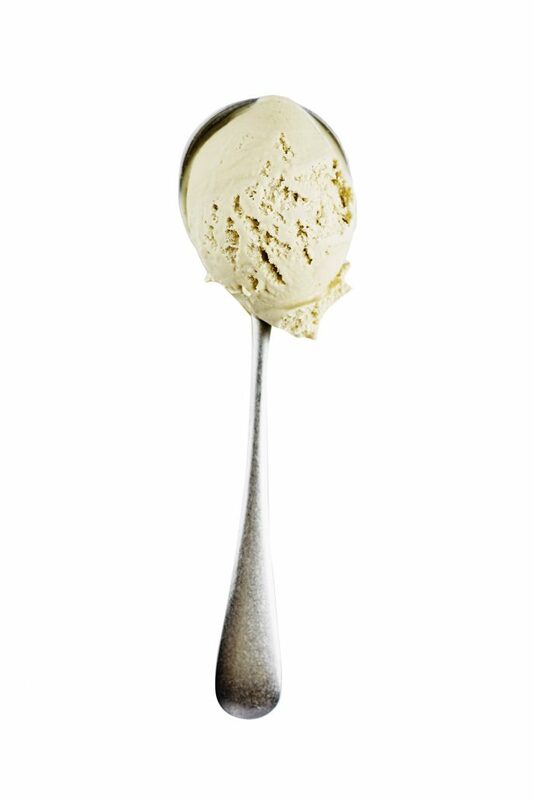 Vanilla is a complex flavor with over 200 compounds that give it its unique taste. 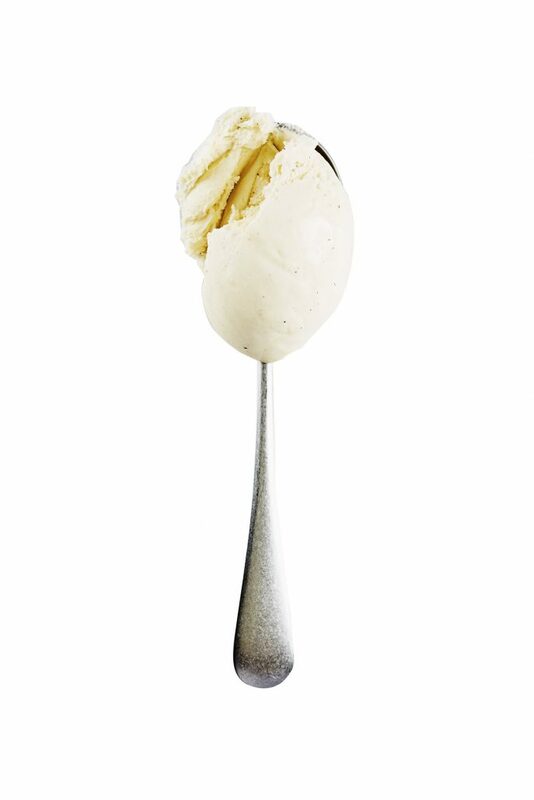 Organic bourbon and Tahitian vanilla pods grown in Papua, New Guinea are used. The beans are cured in the sun concentrate flavor, then cold ground and steeped in our rich custard base. Using the entire bean allows all the pod pulp to come through, resulting in a wonderfully nuanced and balanced flavor. On the slopes of Mount Etna in Sicily, grow the finest pistachios on earth. Certified by the International Slow Food Institute, this variety of pistachio grows in the rugged landscape of Bronte and nowhere else. It is here that they acquire their unique, brilliant emerald green color, intense resinous fragrance and awesome taste. For this flavor, nothing more than these nuts are ground into a fine paste. This flavor is caramelized with pure cane sugar in small pots, with a touch of cold ground Tahitian vanilla and blended into a custard base. After freezing, flakes of Maldon sea salt from one of the world’s oldest salt makers are folded in. The salt is beautifully textured, a result of the centuries-old crafting technique. Surprisingly made using no honey at all, honeycomb is a crunchy, chewy, caramel candy. This ice cream breaks it into chunks and is folded it into our sweet cream base. 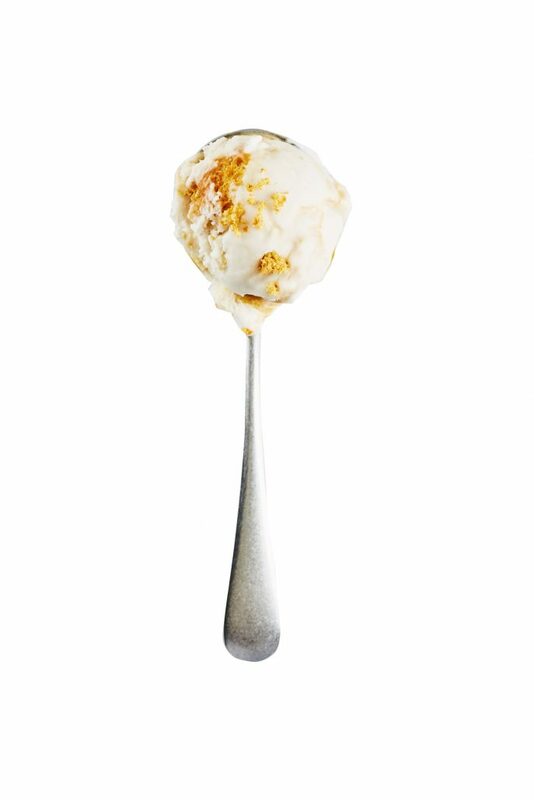 The honeycomb remains crispy on the inside, chewy on the outside and bleeds micro ribbons of caramel throughout the ice cream. An Australian classic and new American favorite. We upped the ante on this American classic. Dark chocolate cookies are made using Michel Cluizel Chocolate, sandwich white chocolate ganache between them, broken up and folded into the sweet cream base with a touch of cold ground Tahitian Vanilla bean. 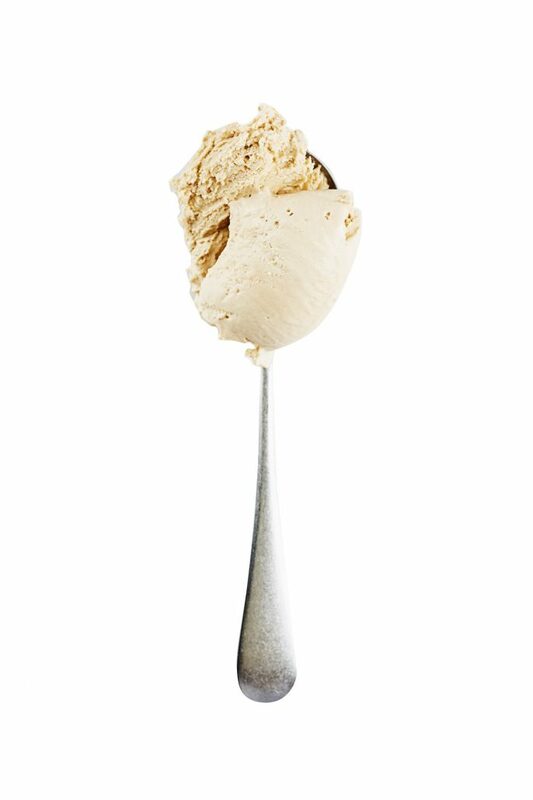 First, organic Virginia peanut butter is mixed into the sweet cream base. Caramelized sugar with peanuts and Askinosie single plantation cacao nibs is then made into brittle. Finally, an Italian-style meringue (think fancy marshmallow fluff), is folded along with the crumbled brittle into the slightly salty peanut butter ice cream. 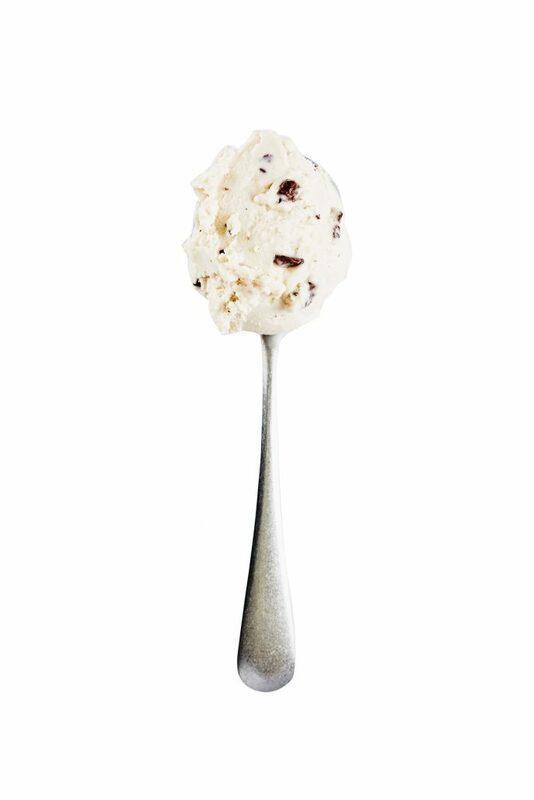 Pure organic peppermint and Askinosie single origin 72% chocolate chips is used for this American classic. Missouri chocolate maker, Askinosie, source directly from farmers, profit-sharing with them and crafting the chocolate in small batches without soy lecithin. Single origin chocolates have a unique flavor profile reflective of their variety, terroir and post-harvest technique. Picked at the peak of their ripeness, European varietal of small strawberries packed with flavor are used then blended fully into our base of grass fed dairy, organic egg yolks and pure cane sugar. 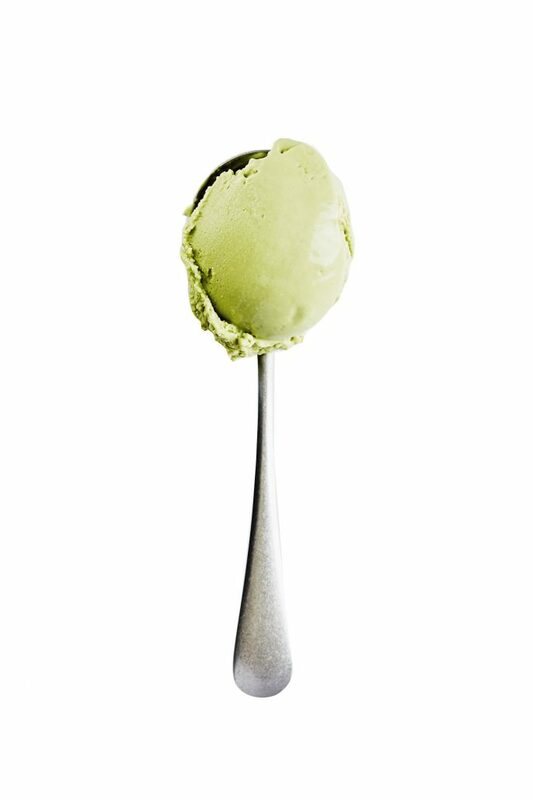 This flavor uses organic Rishi Ancient Tree Tea, which is hand harvested in the centuries old tea tree forests of Yunnan. The tea is cured and then infused with oil from the bergamot citrus. The tea is steeped in fresh whole milk to the perfect point before adding cream, eggs and sugar. 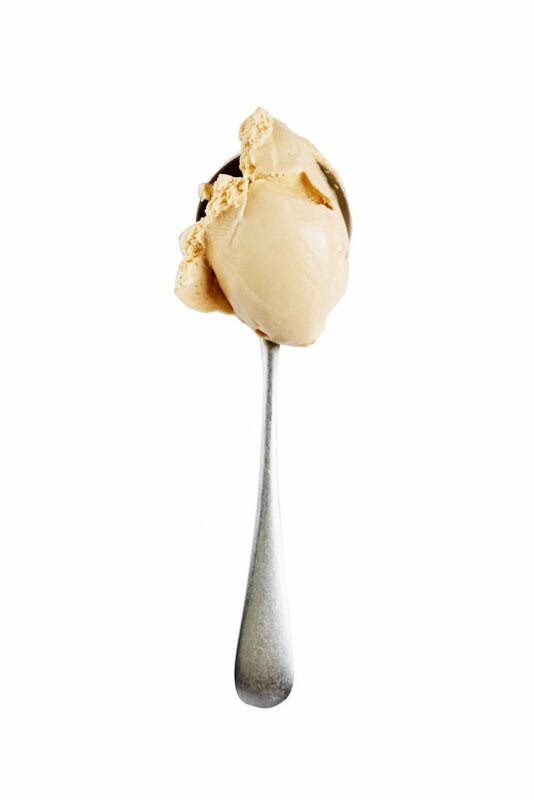 In the shade of the Andean Foothills in Colombia, grow spectacular coffee beans, These Fair trade and organic certified beans are used to flavor this ice cream’s rich custard base, for this much loved classic. 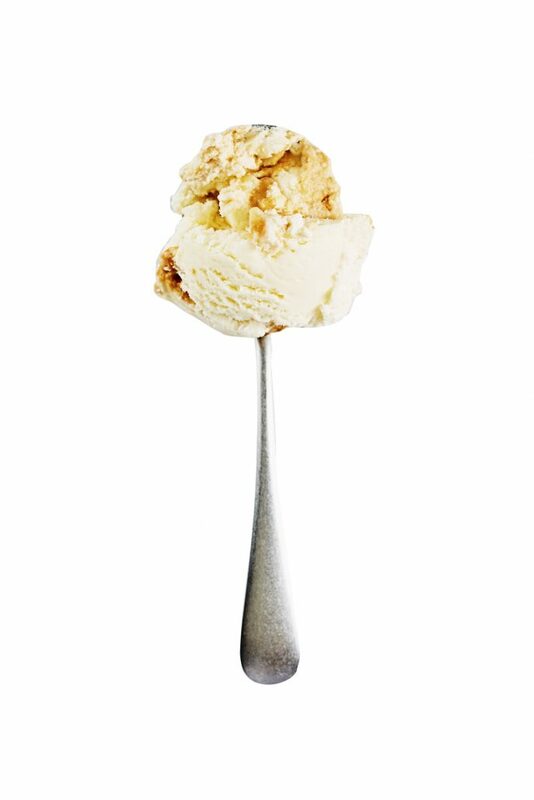 For this American classic, Tahitian vanilla and a pinch of Maldon salt is added to the sweet cream base. For the cookie dough, milled flour and generous amounts of Askinosie 72% chocolate chips are used. Chunks of the dough are then mixed throughout. Missouri chocolate maker, Askinosie, source directly from farmers, profit-sharing with them and craft awesome chocolate in small batches without soy lecithin. 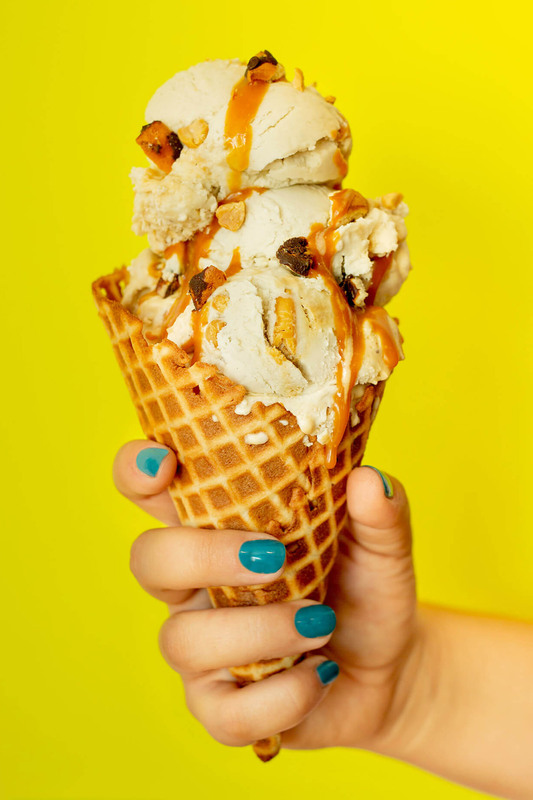 CBD-infused potato chip ice cream with all the munchies! for each bottle of CBD that we buy to produce Vegan Couch Potato, Plant People is planting a new tree! Scoops will top out at 5mg of CBD each. Michel Cluizel is a small family-run French company committed to producing the highest quality chocolate. All of their chocolates and cocoa powders are produced without soy lecithin. The raw cacao comes from eight single biodynamic and organic plantations. its ultra-high cocoa butter content provides a rich and creamy mousse-like texture. 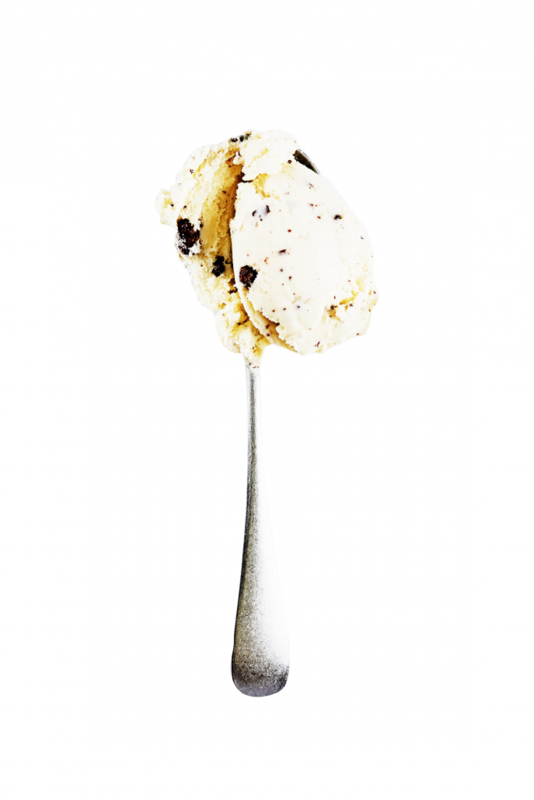 For this American classic, Tahitian vanilla and a pinch of Maldon salt is added to the vegan base. Milled flour and generous amounts of Askinosie 72% chocolate chips are added to the cookie dough. Chunks of the dough are mixed throughout. Missouri chocolate maker, Askinosie, source directly from farmers, profit-sharing with them and craft awesome chocolate in small batches without soy lecithin. 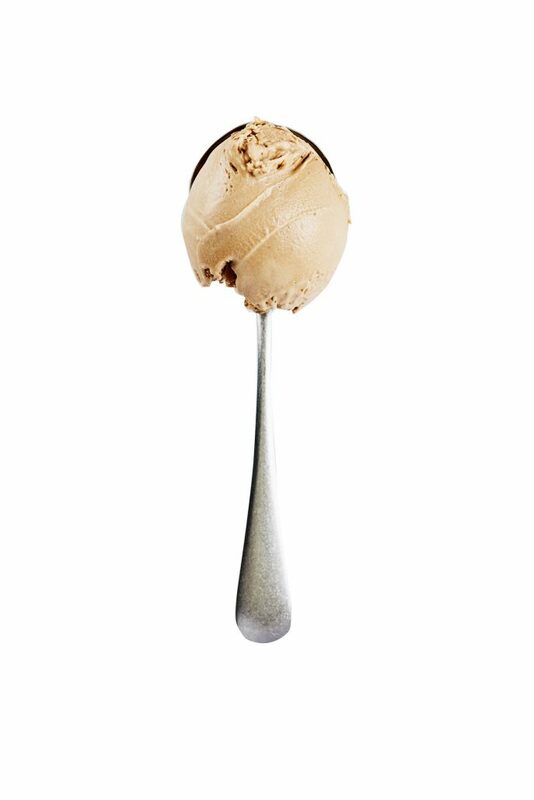 Pure Virginia Peanut butter is mixed into this rich vegan base with generous amounts of Askinosie 72% chocolate chunks. Missouri chocolate maker, Askinosie, source directly from farmers, profit-sharing with the and crafting the chocolate in small batches without soy lecithin. Single origin chocolates have a unique flavor profile reflective of their variety, terroir and post-harvest technique. Surprisingly made using no honey at all, honeycomb is a crunchy, chewy caramel candy folded into a vegan base. 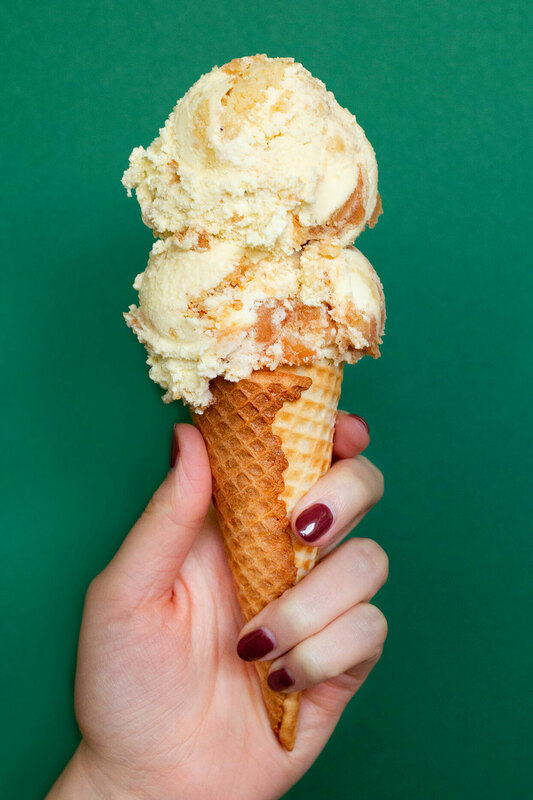 The honeycomb remains crispy on the inside, chewy on the outside and bleeds micro ribbons of caramel throughout the ice cream. An Australian classic and new American favorite. On the slopes of Mount Etna in Sicily, grow the finest pistachios on earth. Certified by the International Slow Food Institute, this variety of pistachio grows in the rugged landscape of Bronte and nowhere else. It is here that they acquire their unique, brilliant emerald green color, intense resinous fragrance and awesome taste. For this flavor nothing more is used than these nuts ground into a fine paste. In the shade of the Andean Foothills in Colombia, grow spectacular coffee beans. These Fair Trade and organic certified beans are used to flavor the rich vegan base, for this much loved classic. Pure cane sugar is caramelized in small pots and a touch of cold ground Tahitian vanilla blended into into the vegan base. After freezing, flakes of Maldon sea salt are folded in. The salt is beautifully textured, a result of the centuries-old crafting technique. 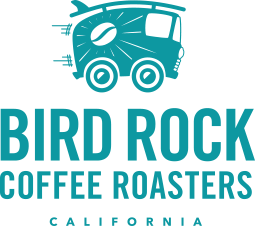 We brew our coffee and espresso drinks fresh each and every day with beans supplied by San Diego’s own award-winning BirdRock Coffee. We have a variety of homemade sweet and savory crepes prepared fresh every day. Made with our special batter we have an array of sweet street style crepes that put a delicious spin on a French staple.